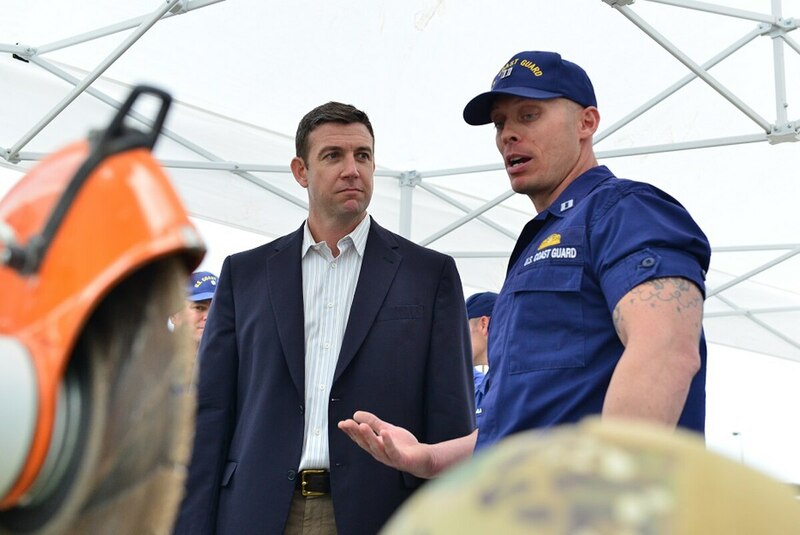 WASHINGTON — The only apparent interaction Rep. Duncan Hunter had with U.S. military officials during his 10-day trip to Italy in November 2015 was a message from the congressman to local Navy leaders to “go f*** themselves” after they wouldn’t accommodate a last-minute request for a tour of a base. But according to court documents, that didn’t stop the California Republican and Marine Corps veteran from charging the full cost of flying his family overseas — more than $14,000 — to his re-election campaign as a “mostly military/defense meet related” event. Now, the couple faces a federal indictment that they racked up more than $250,000 in illegal expenditures over seven years and doctored dozens of campaign records to cover up the crimes, including the Italy trip. Hunter has had an impact on a number of pet defense programs during his time in Congress. The offenses include corruption, conspiracy and numerous military-themed improprieties, among them $3,700 in charges to fly his family to Washington to participate in an annual Marine Corps Marathon event and hundreds of dollars in improper grocery purchases at Marine Corps Air Station Miramar. In another case, Hunter bought himself a pair of Hawaiian shorts at a golf club but charged it to his campaign, claiming it was “(golf) balls for wounded warriors” for record-keeping purposes. “The Hunters disregarded rules implemented by the (campaign staff) to track legitimate expenses … and when pressed by the treasurer to comply, dismissed the rules as ‘silly,’” prosecutors said in an indictment released Tuesday. The charges mark the culmination of months of controversy surrounding a lawmaker once seen as a rising star within the Republican Party and a prominent national voice for Iraq and Afghanistan War-era veterans. Hunter has become a frequent go-to for his party on a host of military issues, and an advocate for both President Donald Trump’s military buildup and a host of intricate defense policy fights on Capitol Hill. Earlier this summer, he pushed for improvements to the service members’ group life insurance that were included in the annual defense authorization bill. He has been a frequent critic of the Pentagon’s process for handling military honors, accusing military bureaucrats of losing touch with rank-and-file troops. But following Tuesday’s indictment, chamber leaders announced plans to strip Hunter of his committee assignments — including his seat on the influential House Armed Services Committee — while his case is pending. He is expected to appear in court to enter a plea later this week. In an interview with San Diego’s ABC 10 on Wednesday, Hunter called the charges a political attack by federal agencies that are still working on behalf of Democratic Party interests. In a statement to press later in the day, Hunter accused Justice Department officials of trying to sabotage his re-election chances. Hunter, who joined the Marine Corps after the Sept. 11, 2001, attacks, has portrayed himself on Capitol Hill as a proud veteran and a defender of the best interests of military personnel. He served as an artillery officer in both Iraq (twice) and Afghanistan, and served simultaneously in Congress and the Marine Corps Reserves up until last year. But the federal indictment paints Hunter as an opportunist who turned campaign donations to cover a host of personal debts and maintain a lavish lifestyle. Illegal expenses include more than $6,100 spent on private school tuition payments, $3,100 on home cable bills, $5,900 on trips to Pittsburgh Steelers games and $6,500 on a family vacation to Hawaii. In 2016, after the San Diego Union Tribune uncovered thousands of dollars in video game charges paid for with Hunter’s campaign funds, the congressman claimed his son had mistakenly made the purchases with a computer set up to his campaign credit card. He promised to refund the expense. Since then, as other questionable charges have surfaced, Hunter and his wife have paid back more than $50,000 to the campaign. Federal prosecutors say that returned money doesn’t come close to covering the total improper expenditures. They also note that campaign staff repeatedly warned the Hunters about possible legal violations, but were repeatedly rebuffed. 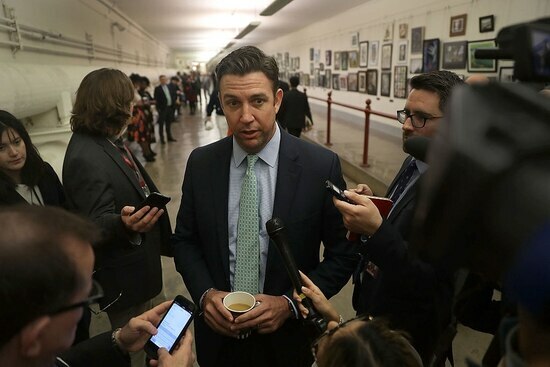 Duncan Hunter is indicted on corruption charges, two new leaders in the fight and retirees get new vision and dental options. According to the indictment, in early 2010 Hunter’s campaign treasurer ― a long-time confidant of Hunter’s father, a 14-term congressman from the same California district ― recommended taking away the campaign credit card belonging to Margaret to remove the temptation of misuse. Hunter, then a 33-year-old facing easy re-election to his heavily Republican district later that fall, declined that advice. Instead, federal records say within a few weeks of that meeting, the couple used the campaign cards to buy $64 in groceries, $307 in toys and home decorations, and even a $226 airline ticket for a family member. The indictment also accuses Hunter of frequently ignoring warnings of his wife’s misbehavior, ordering her new campaign credit cards when hers were turned off by staff and repeatedly giving her campaign jobs to boost the family’s income. The couple could face more than 20 years in jail if convicted on all the charges.